You just never know what you’ll find when the snow melts and the sun shines. 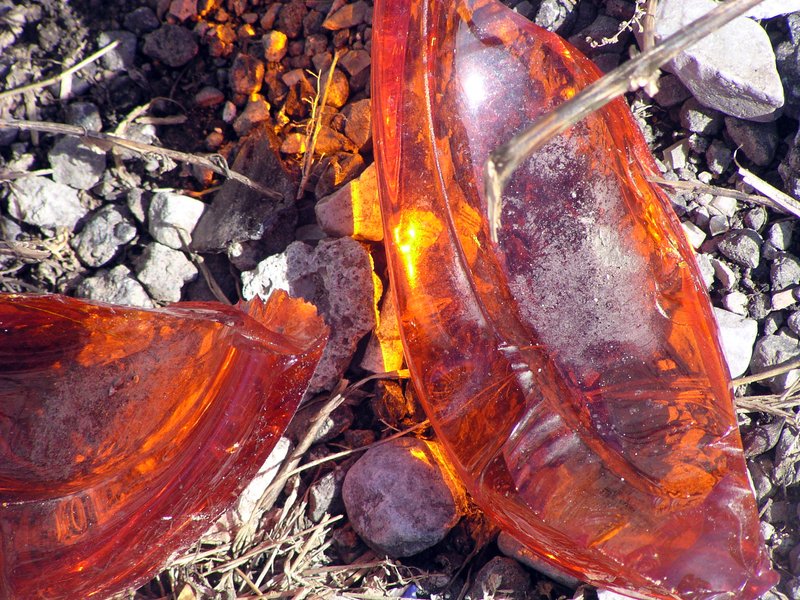 This color was so intense and the glass so interesting I actually saw it from far down the street on the edge of a gravel parking lot. It’s very thick and oddly shaped and I really can’t figure out what the original object was unless it was a clear glass object or sculpture. In any case, it’s in interesting composition on it own, and a sight for sore eyes this time of the year.